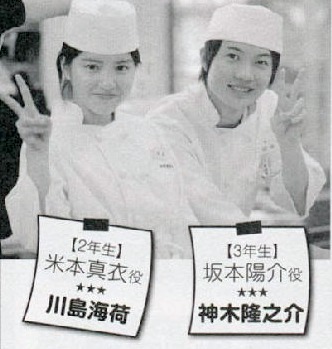 Their first work was 2010's winter drama Bloody Monday 2, then they co-starred in the spring 2011 drama Koukousei Restaurant..
Other than this SP, Umika will also be starring in next month's drama, Tank Top Fighter where she plays Ono Erena's older sister, Riku. Are you guys excited for the UmiKami reunion? !